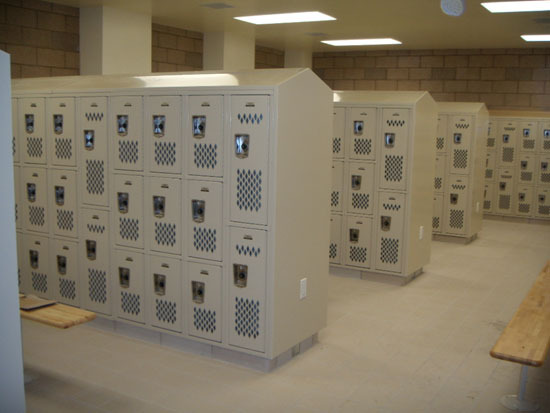 Our line of metal gym lockers provide superior ventilation to a locker’s contents and are just as durable and tough as any of our other popular school lockers lines. 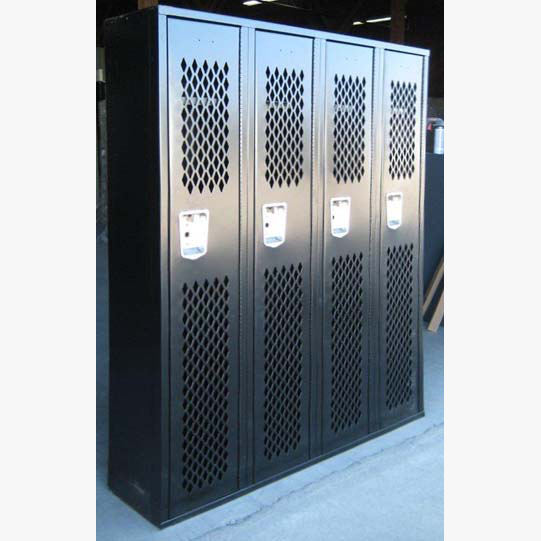 By adding additional perforated slots in the heavy gauge doors and sides, this maximizes the air flow to effectively dry the contents inside and without compromising the locker’s strength. These are the perfect application and solution for places like gyms, karate studios, school locker rooms, dance studios, and even employee break rooms where air flow is needed to dry clothing, athletic gear and other wet, smelly gear. Rest assured our athletic gym lockers are built durable enough to withstand any and all punishment dealt out to them on a regular basis. For those two reasons alone (extra ventilation and strength) we are confident that any gym locker you choose will last the tests of time wherever you set them up! Available in popular colors in our convenient ‘quick ship’ options, you can also choose from an unlimited amount of styles, designs and over 30 bright, durable colors with longer lead times. Our new gym lockers are an inexpensive and durable way to store your athletic and work gear. The ventilated sides and perforated doors let odors dissapear and allow items to dry, effectively preventing the growth of mildew and fungi on damp or wet surfaces. 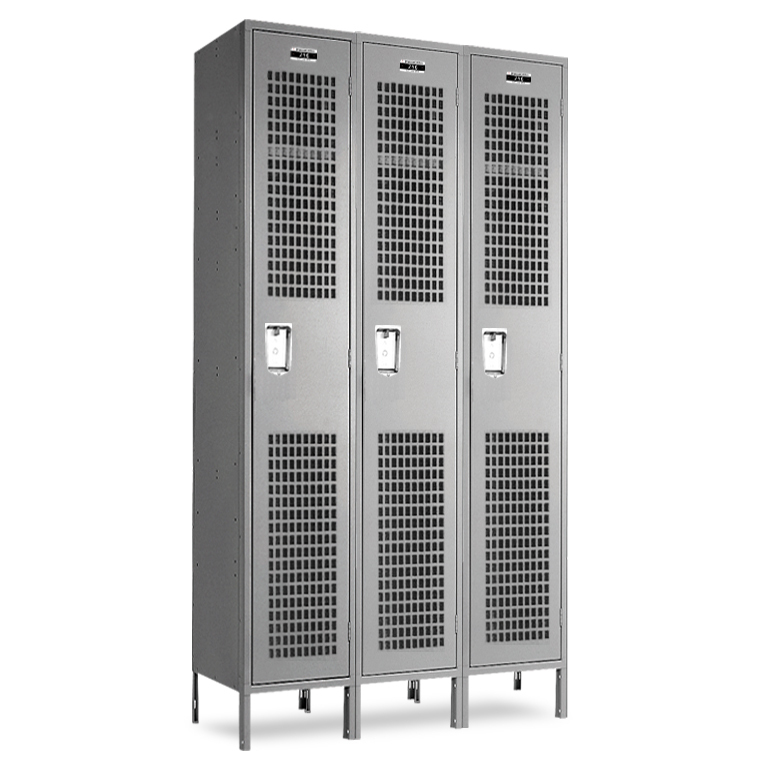 These steel lockers are ideal for sports locker rooms, storing dirty uniforms, and even mudrooms. 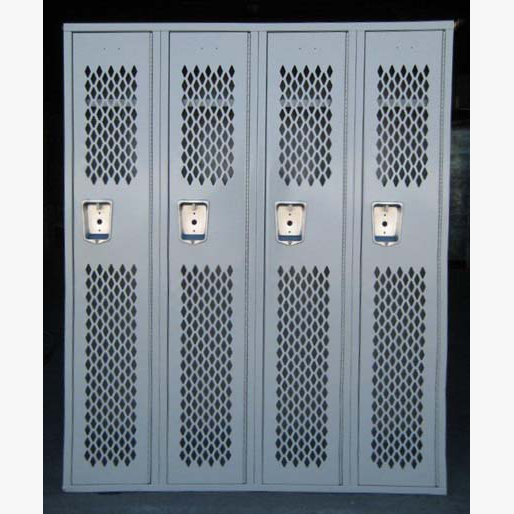 With a variety of colors and styles available, you can find ventilated metal lockers that will go great with your school colors or look fantastic in your business. To buy gym lockers, just call our sales representatives for a free quote, and soon you can be on your way with new, strong athletic lockers.